PARANET.UK is offering surveillance camera system installation and maintenance services. We are mostly working with and recommend the products of Hikvision. There are mostly two kind of solutions on the market. The most commonly used and known is the analog camera systems. In this setup the cameras are recording to a central unit called the DRV. 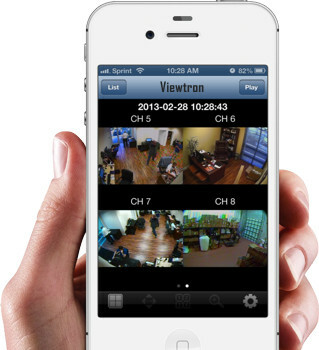 The quality of the recording mostly depends on the cameras, but DVR needs to be able to handle amount. What is IP CCTV? It is a network based surveillance system that uses digital picture and audio transmission on the local network or on Internet. This grants ultimate flexibility and freedom for user and provide a much better quality of the recorded or streamed video. You don’t need an embedded system to be put in places. It can be set up to use wireless connection so it can be adjusted, or even rearranged anytime. Though we highly recommend the use of hard wire for reliability issues, and better transmitting quality. IP CCTV System has several advantages over the analog Closed Circuit Surveillance System. Firstly, as we have mentioned above, You can have the great flexibility of organizing the cameras, and more better quality of the video. Most cameras can give you HD, but it is not rare they support the Full HD video recording. Because of this system is fully modular, you can watch it on a TV, on a Monitor, or even on your Smart Phone. These cameras have their inbuilt processing and decoding units, and they are ready to stream right away. The recording can be done on SD cards, or to a computers hard drive. PARANET.UK offers CCTV supply, installation and setup for small and medium size businesses on an affordable price. If you have any inquiry regarding Surveillance System Installation, please do not hesitate to give us a call, for an advice!